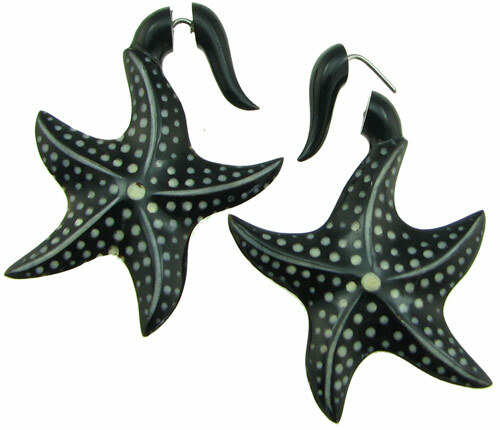 These unique hanging horn starfish fake gauge earrings were hand made in Indonesia from natural water buffalo horn, so some variation is present from the pair shown in this image and also from piece to piece within a pair. Fake gauges look like large gauge earrings, but without stretching your piercings. These earrings are also available for stretched piercings in sizes 6 gauge through 1 gauge (see link below).